Ok, so I told you about the new REI location that recently opened in Soho. I didn’t tell you what I bought because I know you probably just don’t care. Sidenote: the boyfriend LOVES bananas. LOVES. I was wandering around the store and came across the wall, yes the wall – an entire wall, that was dedicated to hiker food. Hiker food: the kind where you mix in cold or hot water and let it sit to create a meal. The meals are in similar packaging that astronaut food comes in. When you squeeze the package it feels like flakes inside. There were so many options…beef chili or black beans with rice or a Mexican omelette. And then there were desserts. 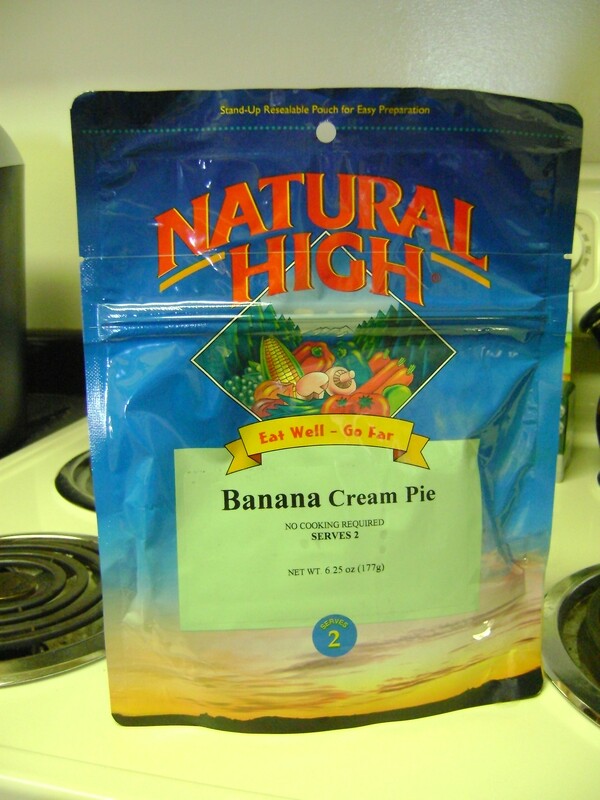 I found one called Banana Cream Pie. Just add water! Of course now my curiousity was piqued, and it was only $5 so of course I had to buy it. I showed it to the boyfriend later that night and he was hardly as amused as I was. We haven’t tried it yet. 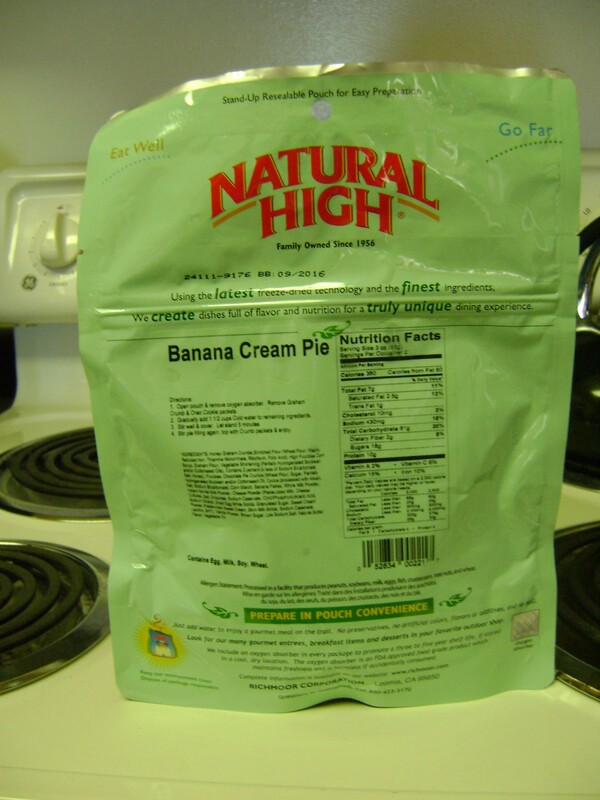 Personally I’m not as big of a fan of banana, or banana cream pie or adding water to make an instant meal – but challenge accepted. Stay tuned for a post about it when we do open and ‘cook’ it. This entry was posted on Monday, December 12th, 2011 at 8:00 am	and posted in shopping. You can follow any responses to this entry through the RSS 2.0 feed.